In the last 25 years, some hospitals have reported a five fold increase in emergency visits resulting from anaphylaxis associated with a food allergy (also called a sensitization) in children. Data from the CDC substantiates that food allergies have risen by 50 percent between 1997 and 2011 in those under 17 years of age. Researchers may now be able to explain a prominent cause for this sharp climb in allergic reactions, A 2015 study published in the Journal of Developing Drugs reveals the association between the injection of food proteins contained in the majority of childhood vaccinations and an overly sensitized immune system which results in life threatening food allergies within certain individuals. Evidence indicates researchers may have been aware of this connection since the 1940's, yet vaccine manufacturers have made no attempt to regulate food proteins contained in their formulations nor provide warnings to the public. Additionally, the use of aluminum containing adjuvants and the delivery of multiple vaccinations during a single doctor's visit are said to significantly increase the likelihood of developing a life threatening sensitization to one or more of the food proteins contained in these vaccines. Wheat, corn, coconut and/or sunflower used during the production of polysorbate 80 and/or sorbitol. Interestingly, milk, eggs, soy, wheat, peanuts, tree nuts, fish and shellfish account for 90 percent of all food allergies seen in children today. While gelatin allergies do not fall into the worst offenders category, the CDC directly acknowledges that gelatin contained within vaccinations is known to cause gelatin sensitization in children. Since the 1940's, researchers have been well aware of the resulting allergic sensitization that occurs in humans after they have been injected with a food protein. The CDC acknowledged the connection between gelatin allergies and gelatin contained in vaccinations in 1999 and the Institute of Medicine (IOM) confirmed the general connection between food allergies and the injection of food proteins during an analysis of data involving adverse reactions associated with vaccines in 2011. The 2015 study, published with the title “Evidence that Food Proteins in Vaccines Cause the Development of Food Allergies and Its Implications for Vaccine Policy,” notes the previously established connection between vaccinations and food allergies and explains that the amount of food protein contained within vaccines is completely unregulated and undisclosed. They also note that the amount of food protein injected during a single vaccine alone is sometimes sufficient to create sensitization in humans, yet the effect is greatly enhanced when administered in conjunction with aluminum adjuvants and/or additional vaccinations. The role of a vaccine adjuvant is to increase the patient's immune response to whatever strain of bacteria or virus the vaccination is attempting to produce immunity against. Unfortunately, these aluminum containing compounds also cause the immune system to recognize and attack other components delivered in the injection, including food proteins. When multiple vaccinations are delivered in a single day (a common practice during well-child visits), the amount of adjuvant as well as food protein injected directly into a small child's bloodstream is often enough to result in a life threatening allergy to one or more of the proteins contained within the shots. As a likely result, food allergies have become the most common cause of anaphylaxis in children under the age of 18 and result in more than 300,000 emergency service calls each year. For years, researchers have recognized the risks of injecting compounds such as adjuvants directly into the bodies of young children, yet manufacturers have little incentive to increase the overall safety of their vaccine formulations considering their position of immunity from lawsuits which began after the passage of the National Childhood Vaccine Injury Act of 1986. Manufacturers have also been encouraged to provide warning statements in their vaccination package inserts which would alert parents and medical professionals to the possibility of food protein sensitization, yet these requests have gone unheeded. Researchers have also advised that reducing of the number of vaccines received in a single sitting would lower the number of adverse effects, including sensitization to food proteins. Government organizations such as the CDC have the ability to adjust the recommended vaccine schedule. Considering that food allergies cost the nation a total of $25 billion each year, one could be led to believe there would be sufficient incentive to reduce such costs, yet more vaccinations continue to be added to the schedule with no warnings regarding the delivery of multiple vaccinations in a single day. If you or a loved one has experienced an adverse reaction after receiving a vaccination, you may be able to obtain financial compensation by filing a claim through the National Vaccine Injury Compensation Program (VICP). 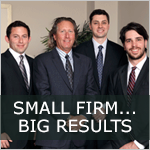 Working with a professional attorney is highly recommended to ensure you receive the largest settlement possible.